Good amount of light – Good enough to see the objects clearly and both less and excess light reduces the quality of vision. Smooth passage of information from the Eyes into the Visual cortex in brain – Actual “SEEING” happens here. of reflections for spectacles wearers – Backside, front side reflection, optical diffusion and ghost images. A good Anti-reflective coating improves vision, reduces eye strain and makes your eyeglasses look more attractive.Supported by the abilities to resist scratches, smudges, water, UV rays, etc, ARC has become the preferred choice for the ECPs and consumers, together to enhance the vision. Crizal Sapphire® 360˚ UV: New lenses from Essilor. Crizal lenses have been the synonym for ARC Lenses across the globe. In India it is considered as the most preferred consumer brand in spectacle lenses. Crizal Sapphire® 360˚ UV is the new generation of Crizal® coating that reduces reflections of light coming all around the wearer. Thanks to its new 360° Multi-Angular Technology™ which combines new calculation tools and a new nano-layer inside the stack, Essilor is able to manage various targets and optimize lens performance. It is the best anti-reflective coating on the market combining the multi-angularity anti-reflective performance and the optimal UV protection. It is designed with a new α criterion that indicates the anti-reflective efficiency whatever the light direction and its efficiency is calculated using lateral angle between -45° and +45°. 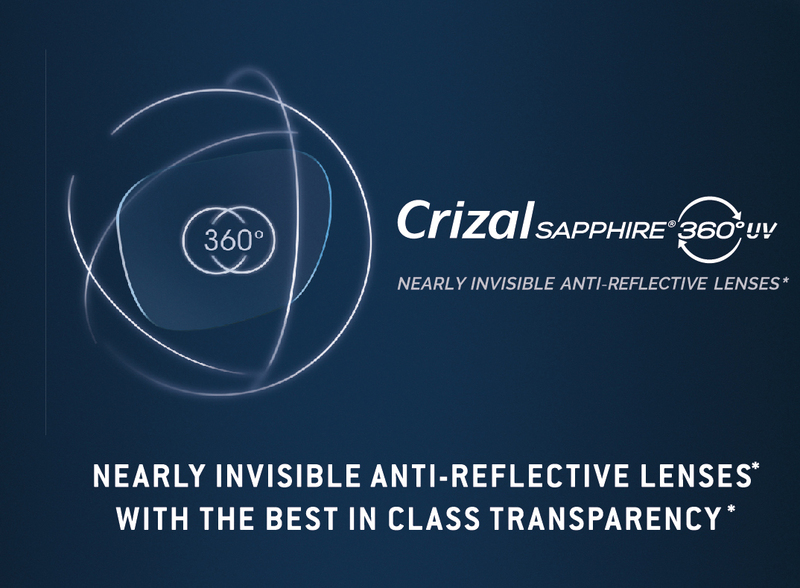 Crizal Sapphire® 360˚ UV: Almost invisible lenses. Crizal Sapphire® 360˚ UV provides you with nearly invisible lenses with the best in class transparency for an optimal comfort of vision. 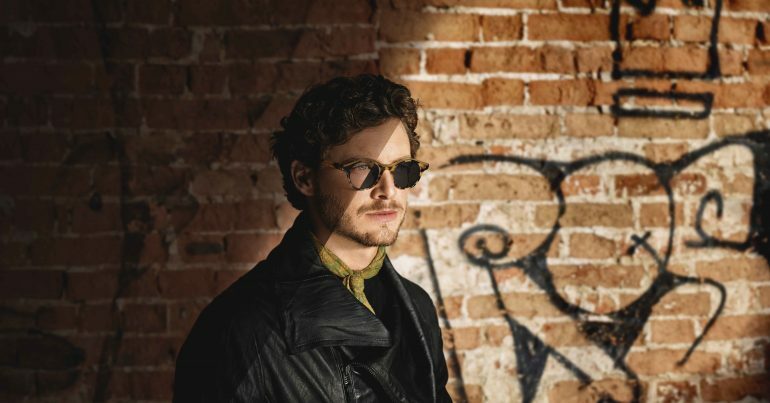 When compared with standard HMC, it offers a better protection against the enemies of vision and especially in term of aesthetics and clarity of vision. AR coating displays a slight residual reflection colour in the lens. This is not a tint, and it is barely noticeable. You can see the residual reflection – which is normally green – by holding your spectacle lenses under a light source and looking at the resulting reflection on the lens surface. The residual reflection which comes from the surfaces of ARC is the result of the chemical combination used in the AR Coat. Intensity of colour may vary from coating to coating and with higher intensity, colour becomes more visible and the cosmetic benefits go down.